While developing my interest in birds, I would often thumb through an old 2nd edition Peterson’s field guide. Certain species leapt off the pages. Their colors or shapes were too fantastical to ignore. Those would become “must see” birds that I would pursue whenever I was close to their ranges. 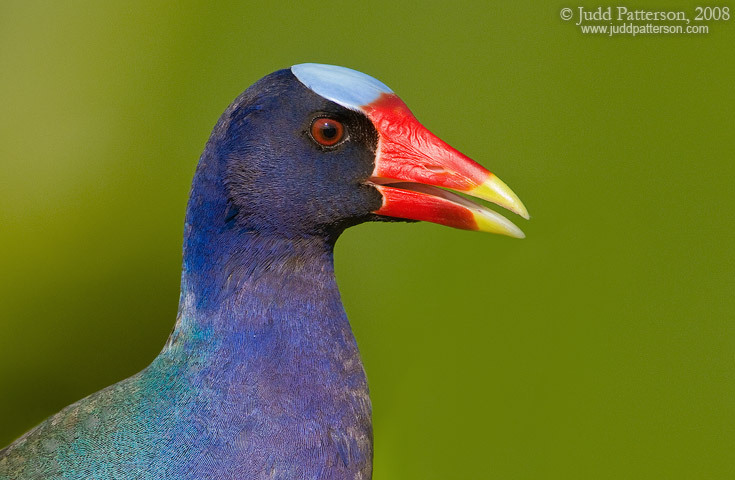 The Purple Gallinule was one such bird. As a Kansas State Wildcats fan (we bleed purple), the name alone was intriguing. The accompanying painting showed how body feathers of blue, purple, and green mixed with yellow legs and an orange/red beak to complete the rainbow effect. Who wouldn’t want to see such a bird? Fast forward a few years and I now live where I can enjoy Everglades National Park as my backyard. 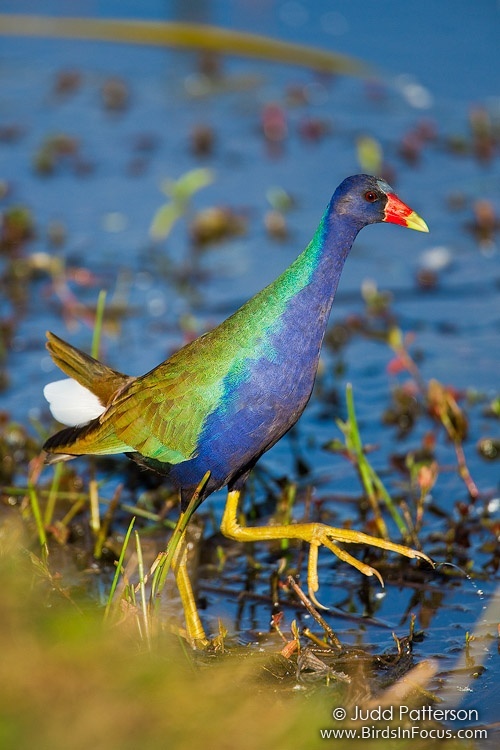 In many pockets of this “River of Grass” the Purple Gallinule is common. I frequently find myself watching their antics as they flutter and walk across aquatic vegetation in search of the perfect spadderdock fruit. 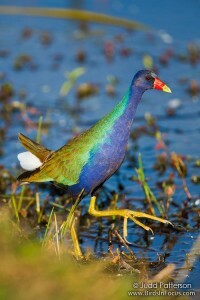 In the sunlight, their iridescent plumage puts on a tremendous show. 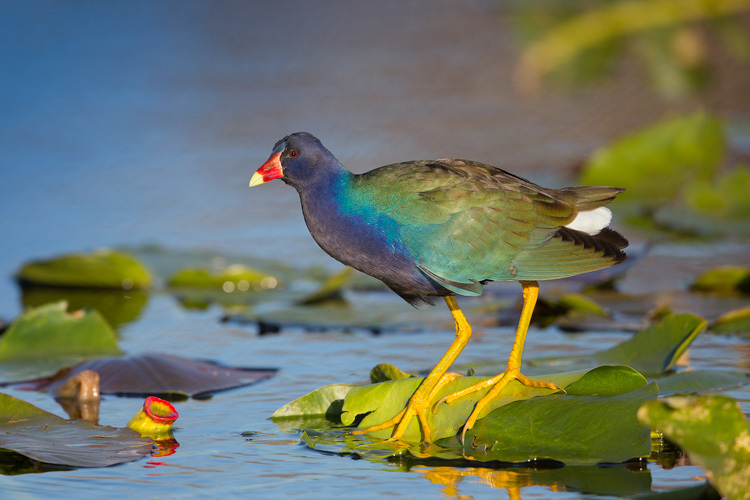 The Purple Gallinule is certainly one of North American’s showiest species and one that I am thrilled to photograph regularly.